If political science is the sweet science, then a dogfight is a-brewin in Chicago. 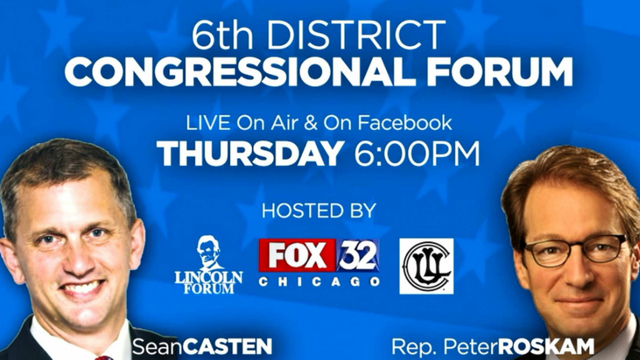 Despite not being confused and disoriented, Peter Roskam agreed to participate in a debate this week. Sources say Roskam (Lake County's vestigial Congressman) chose to debate his opponent in Chicago, because Chicago is in Cook County, and his voters "never want to be anywhere near Cook County". Democrats are planning to protest at the sold-out debate between Peter and his opponent this Thursday evening in Chicago. They're planning on having over 100 people there. This is a perfect opportunity for us to show we are ready to fight. GOP to bus in counter-protesters to Thursday’s debate, says Roskam "in the fight of his life"
We're also having a bus take supporters from the suburbs to downtown and back! We're meeting in Wheaton at 3:15 PM and plan on having everyone back by 7:15. If you'd like to take the bus, let us know and we'll send you more details! We can't let the Democrats' protest go unanswered, especially on such an important debate night! The Democrats have a simple message, that Peter Roskam is in the pocket of his donors and out of touch with his District. So Roskam wants counter-protesters there to make sure no one gets to hear the Democratic narrative. Operatives are advised to bring their cameras. And alert the media.